Practicality plus affordability. Made of a high-gloss, acrylic composite for looks and strength, this Cadet<sup></sup> bathtub features an EverClean<sup></sup> surface that inhibits the growth of stain- and odor-causing bacteria, mold and mildew. Its curved apron provides more bathing room than a standard bathtub. Alcove installation with left-hand drain. 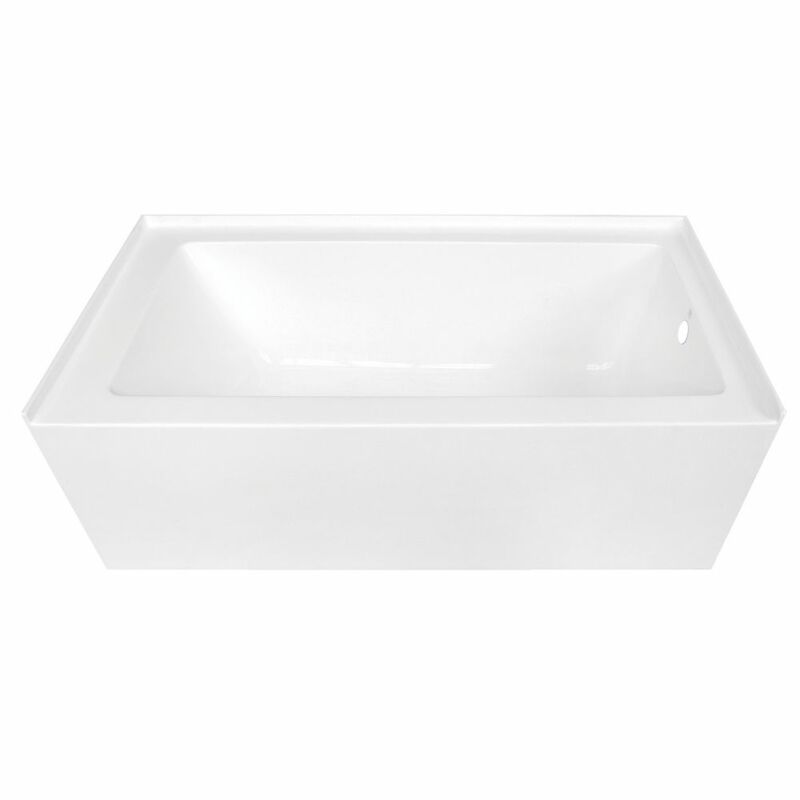 Contemporary 5 ft. Acrylic Right Hand Drain Rectangular Alcove Non-Whirlpool Bathtub in White The contemporary alcove tub from the Aqua Eden collection is a great choice when looking for a bath tub. Constructed from solid acrylic made to be both durable and reliable. Deep soaking tub has a 64 Gal. tub capacity.